It feels like spring is finally here! It’s about that time to update my mantel decor and I decided to go with a rustic springtime look. I wanted to keep everything simple and clean and use objects that remind me of spring. Flowers are a wonderful reminder that spring has sprung! I recently bought these faux peonies and I’m loving them because they look like live flowers. Have you ever seen faux flowers that look plastic? Pass. 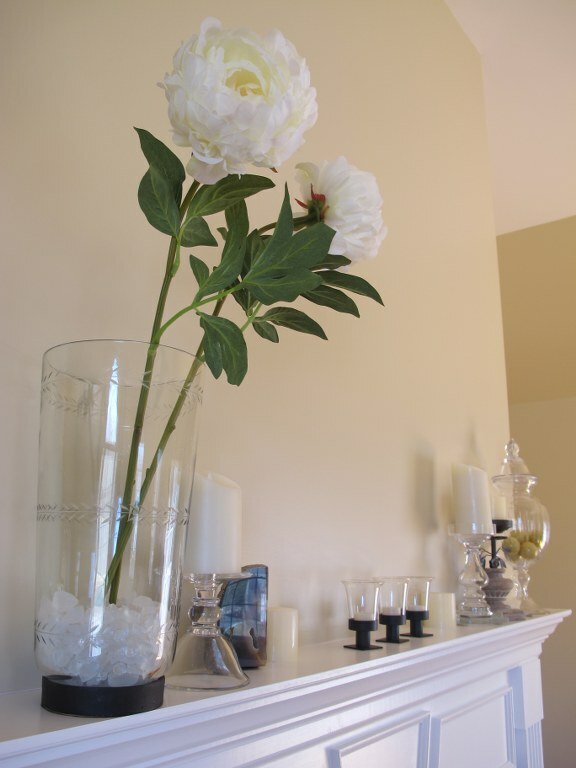 I adore the height and drama that the peonies bring to the mantel. 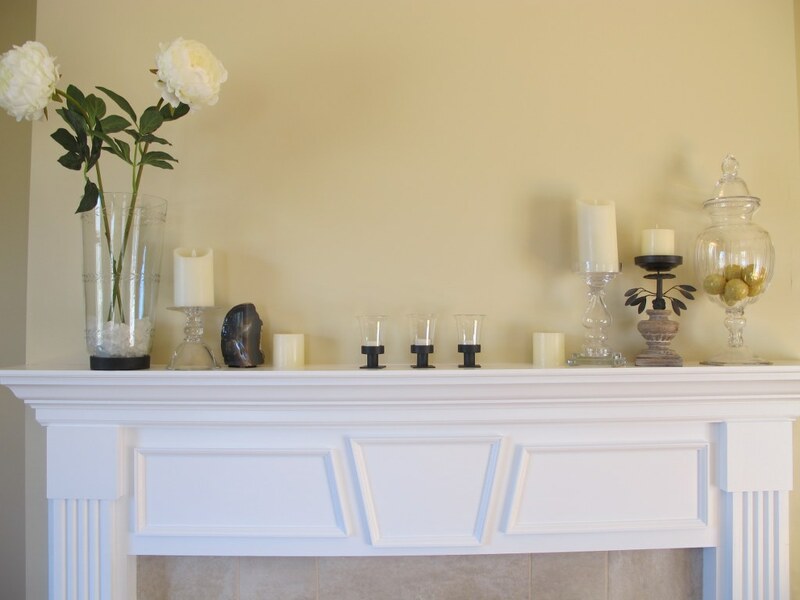 Then I added tall objects on the opposite side of the mantel in order to balance the entire look. I added this beautiful rock to introduce some earthy textures and colors. 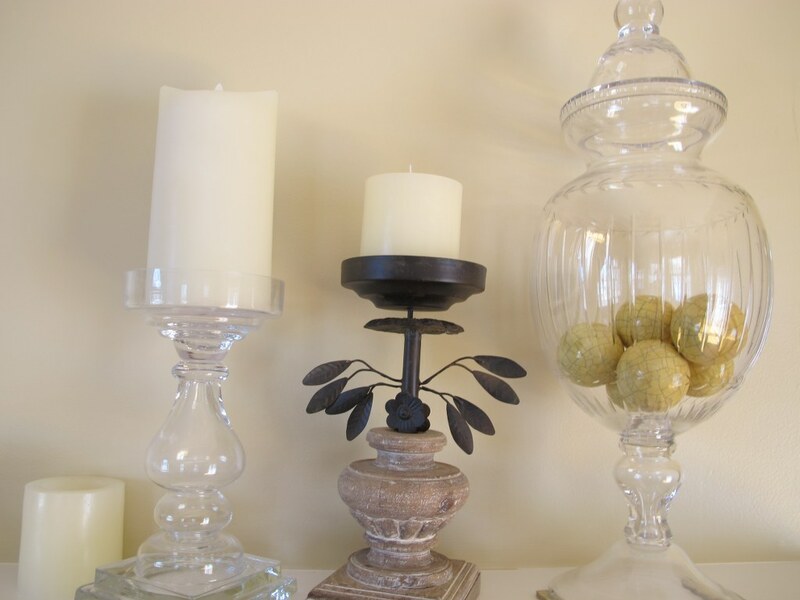 Decor Tip: Use objects that have a common theme. 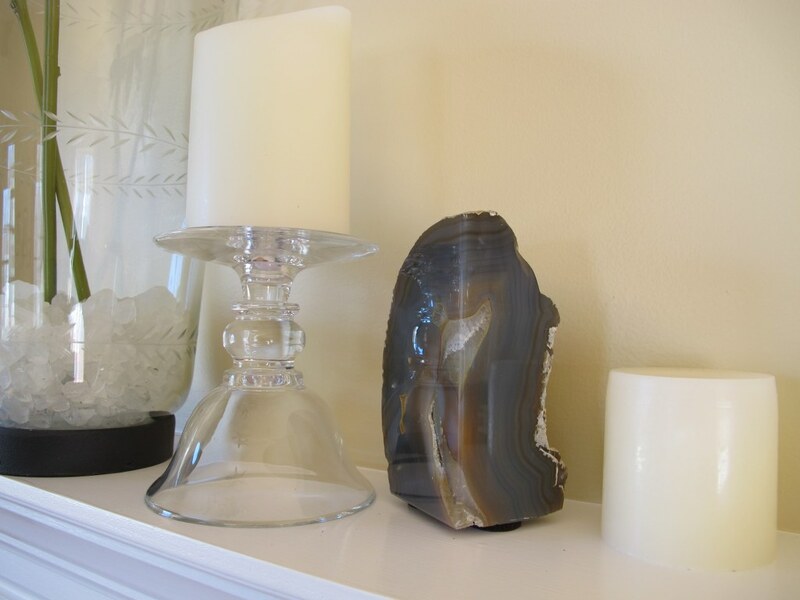 For example, the earth tones flow across the mantel from the rock to the various wrought iron candle votives to the medium size wrought iron candle holder. Having commonality among some of the objects will create a cohesive look. Candles, candles, candles! I don’t think you can go wrong with adding candles to any setting at any time of the year. The cream candles give a light and airy feel, again reminscent of springtime. What are your favorite spring decorations?